Shade’s Mills Conservation Area is a day-use park located in Cambridge, and is part of the Grand River Conservation Authority (GRCA). Visitors can immerse themselves in nature, while just a few minutes away from the city. The park is open year round and features a number of different recreational activities. 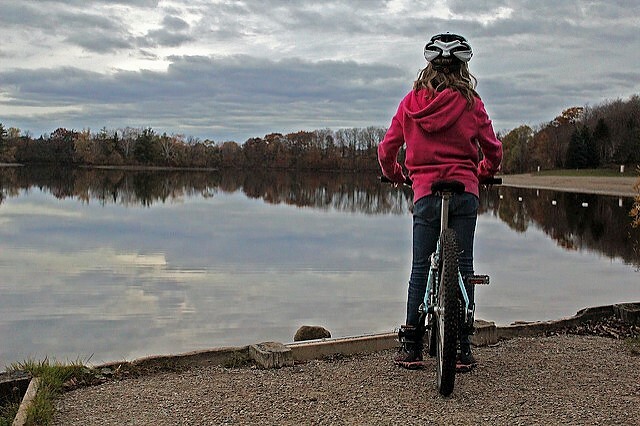 With over 12 kilometres of trails, hikers and cyclists can enjoy the hardwood forests along Mill Creek. 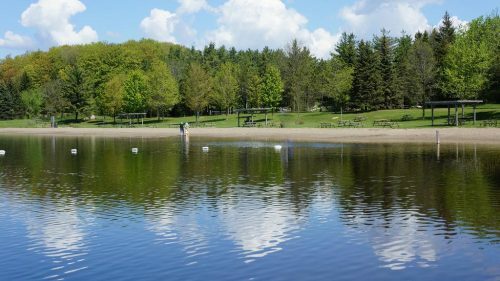 Sport fishers will find a number of different fish species in the Shade’s Mills reservoir including northern pike, largemouth bass, smallmouth bass, yellow perch and black crappie. 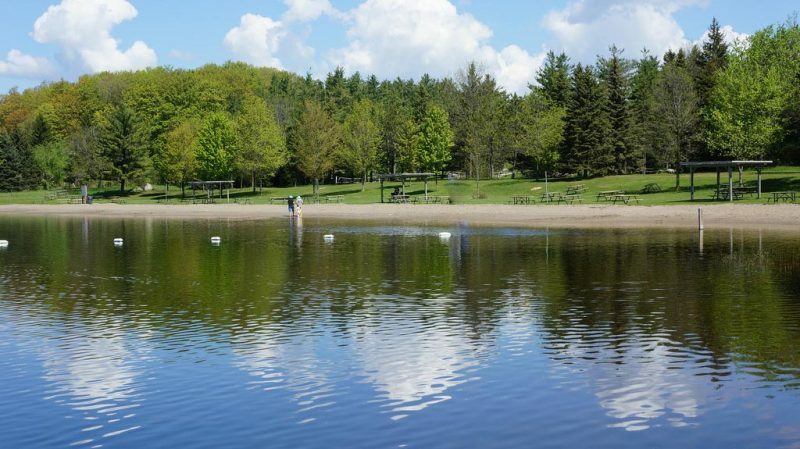 The reservoir is also an ideal location for canoeing and kayaking, and there’s a long, sandy beach for swimming. Picnic tables are located throughout the park, and day-use visitors may use barbecues for cooking purposes in designated picnic areas. In the winter, Shade’s Mills offers a number of different outdoor activities. The park has 10 kilometres of groomed and track-set cross-country ski trails and a snowshoe loop. 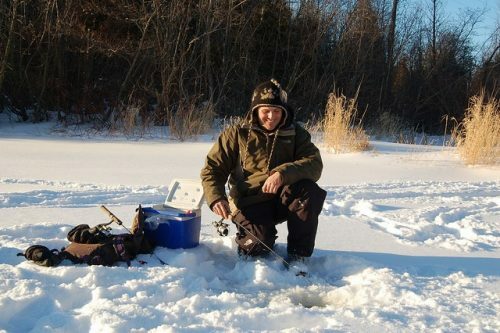 Ice fishing is also available when weather conditions allow. When the weather gets warmer, there’s even more to do at Shade’s Mills, making it a great place to spend your summer! Shade’s Mills offers many family-friendly activities and events: check out the GRCA events page for a full listing. Shade’s Mills offers four group areas that can be reserved for corporate, church and family events. The group areas include an enclosed shelter with a kitchen, as well as three shelters and picnic area. There’s also the new Toyota Amphitheatre and stage with stone block seating that is available for corporate and group activities, wedding photos and other events.